Working with Sarasota Landscaping Services, it is our fundamental goal to provide you with an all-encompassing service that provides natural and safe residential lawn maintenance in Sarasota, FL. We won’t just mow your lawn for you, instead we’ll handle all your lawn service needs. Our dedicated staff has experience in handling a wide range of lawn services outside of just residential lawn care, which include and are certainly not limited to landscape lighting, sod installation, commercial ground maintenance, landscaping, mulch and river rock, soil aeration and compost just to mention a few. Thanks to our many years of services in the local community and within this industry, we can transform your flower garden and flowerbed through regular upkeep, complete hedge clipping, mulching, mowing, and trimming for that healthy, fresh and attractive look you’re striving for. For a brand new landscape, we can plant customized grass, flowers and any other vegetation all according to your likes and preferences. Every customer has their own taste and preferences when it comes to property beautification, with this in mind, we are flexible to schedule a meeting with an aim of discussing on the project, compare notes on what is needed for the project to become a success. If an agreement is reached, we commence the work with occasional consultations until the result is achieved as desired. Our professional landscapers know that to consistently provide the best service to our clients, we need to be up-to-date on the most current and innovative lawn maintenance trends our industry has to offer. We always thrive to stay on top of our competitors; therefore, our team of professional is dedicated to do what they know how to do best. We ensure that our customers ideas are incorporated in each step of the process—which including initial planning and approval throughout the application process. We want you to have a hand in each factor that helps move you towards making your lawn your next big dream. For transparency, we are always open to critiques and corrections. Once the customer is satisfied with our services, we then pride ourselves in having accomplished our greatest core of ensuring that your compound or garden receives the face lift that you have always desired. We believe beautiful landscaping is essential to a beautiful home in Sarasota, FL. While hardscaping, flower beds, vegetable gardens and additional decor stand out as highlights of any lawn, we believe you can’t have a successful lawn unless it starts with green and healthy grass. 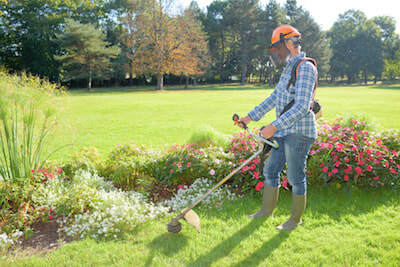 In signing on with us for residential lawn maintenance that is the first place we will start our work. We’ll ensure your grass is always trimmed, watered, and neat. If it’s not, we’ll put a plan in motion to change this immediately. In the end, we are always at your service for all your landscaping needs. Feel free to contact us to book a consultation or set up an appointment. At Sarasota Landscaping Services, we promise to give you a lifetime guarantee to received dedicated services from us, always. Your satisfaction is our number one concern.